As lovers of fine art and art in general it's always a pleasure to get involved with this kind of work. It takes a keen eye and lots of skill and experience to bring a particular artist's work to life in print but the results often speak for themselves. With a background in fine art printing at one of the UK's premier printers Ian will be only too happy to discuss and advise on your needs. Furthermore at Knockout we pride ourselves on giving you a joined up approach to your work so not only will we produce perfect prints for you but can also photograph your original to the correct standard, supply mounts, backing, bags and frames – i.e supply the whole print completed and framed or anything in-between. Just ask for more details. 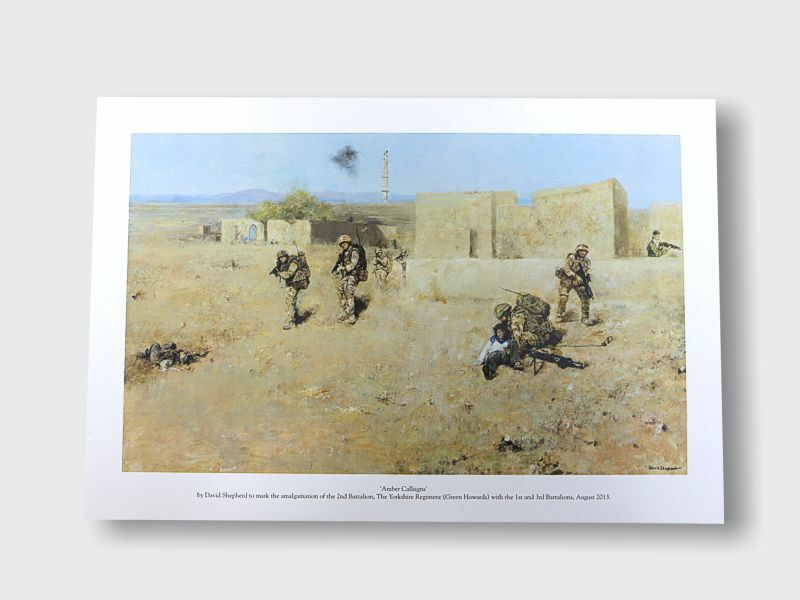 A facsimile of a commission painted by David Shepherd CBE to mark the amalgamation of the 2nd Battalion, The Yorkshire Regiment (Green Howards) with the 1st and 3rd Battalions in August 2013. 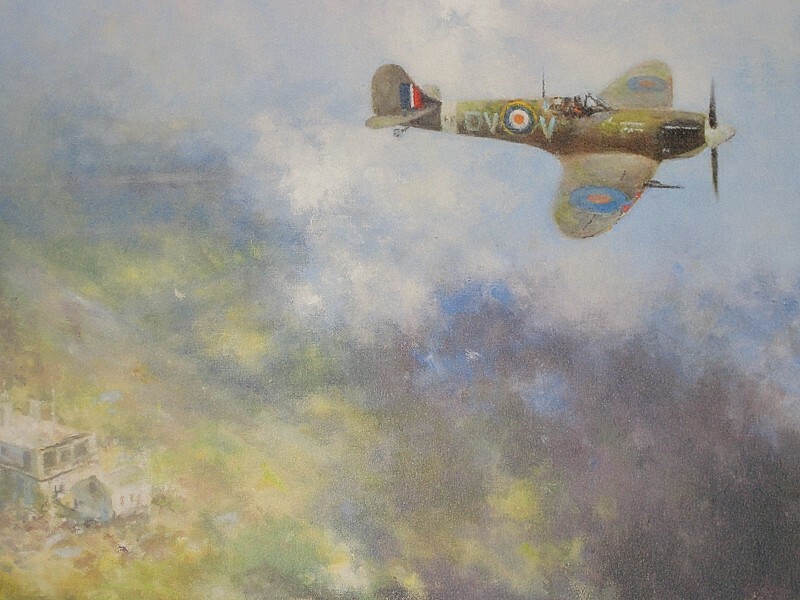 Chris commissioned David Shepherd to paint his two great loves in the same scene, as only David can muster! This is a limited edition print run of the result. Expertly photographed, colour matched and Giclée printed.